Identify the laws of nature and their affects on every building. Describe design principles for a superior wall system. Explain how drainable building wraps help achieve durability and health goals. Describe three types of insulation – XPS, mineral wool and fiberglass – and how to specify the right one for the desired performance. Moisture flow doesn’t care about buildings. Heat flow doesn’t care about buildings. The immutable laws of nature drive both forces. And both could, if not controlled, compromise a building, sicken its occupants, and waste energy and resources. And the professionals who designed and/or constructed that building could learn more about lost reputations, liability, and lawsuits than they ever cared to know. Wall design is a major key to controlling the forces of nature on a building. While poor thermal control brings discomfort and high operating costs, moisture-related construction defects are among the leading causes of building failures, callbacks, and construction litigation. While exact statistics are hard to come by, some industry experts estimate that up to 90 percent of litigation for construction defects is due to water and moisture problems. ASTM estimates that water-related defects cost Americans more than $9 billion per year. These billions of dollars are spent each year repairing finish and structural damage due to water- and moisture-related issues. Damage from water leaks not only eats into profits but also can diminish professional reputations, and even lead to structural failures and indoor air quality problems. Damage repair from water infiltration typically requires four to five trade contractors to perform the repairs, which requires significant resources to schedule and correct the damage not to mention inconveniencing the owners. The challenge for architects is four-fold: to understand the forces of nature, to understand how those forces work on buildings, to learn how to efficiently control those forces on buildings, and to learn how to specify a wall that provides that control. This article is about the importance of moisture and thermal controls in a wall design, and how the architect can design and specify the right wall system for the project. We’ll also focus on several products that help achieve those performance goals, including drainable building wraps and three forms of insulation. 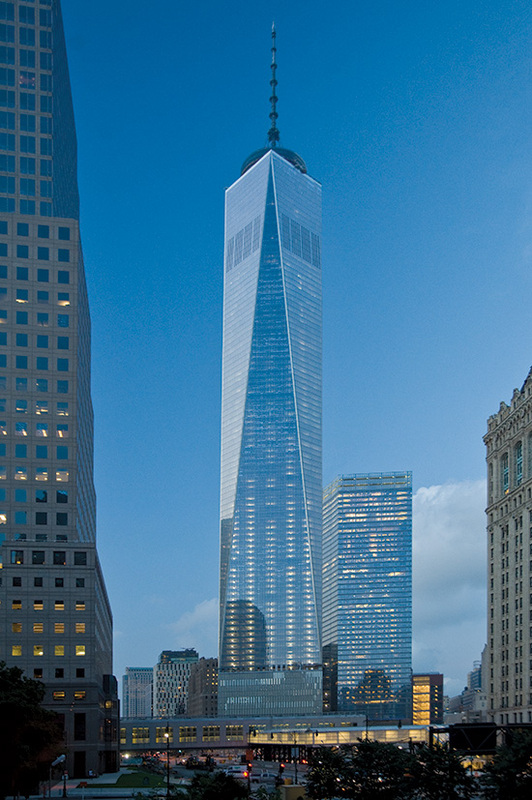 From the largest buildings, such as One World Trade Center, to the smallest homes, the design of the wall system will help determine the durability and thermal fitness of the entire structure. In this case mineral wool insulation helps the building achieve necessary fire resistance. Thermafiber® Mineral Wool Insulation is noncombustible and can withstand temperatures over 2,000°F. It is designed for exceptional thermal, sound, and fire performance, and is UV- and moisture-resistant, permeable, noncorrosive, nondeteriorating, mildew-proof, and vermin-proof. Its natural dark color provides shadowing in transparent glass spandrels with a minimum of 70% recycled content. TamlynWrap™ is a highly effective, omni-directional, drainable housewrap that exceeds all current code requirements and offers the user the best housewrap solutions available for enclosure water management. The system is comprehensive and has an available 10- or 15-year warranty program.